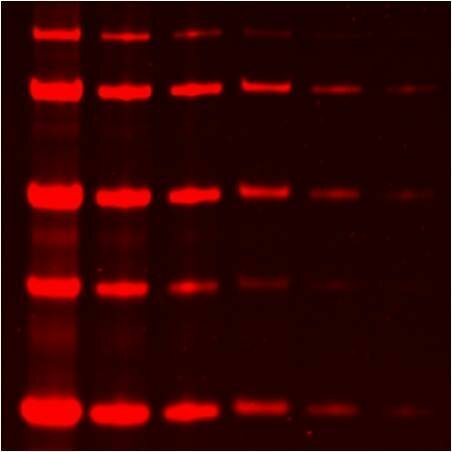 Our One-Step protein gel stains are low-cost, quick, and easy-to-use. Simply add stain to your SDS-PAGE gel without fixing or washing, and stain for 5 to 60 min. These stains are non-toxic for safer handling and are certified under CCR Title 22 as non-hazardous for drain disposal after pH neutralization. One-Step Blue® replaces Coomassie® for visible staining or near-IR fluorescence. One-Step™ Lumitein replaces SYPRO® Ruby for UV box or gel scanner, and One-Step™ Lumitein UV replaces Oriole™ for UV transilluminator.